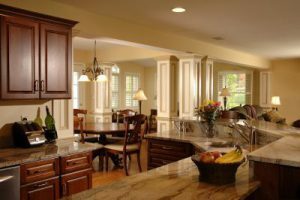 If you’re in the market for professional kitchen remodeling services for your home in the Allen, Texas, area, turn to the reliable experts at Star Home Remodeling. Since 2007, we have been remodeling clients’ homes, making houses more beautiful and practical, so you can rest assured we have the experience required to best assist you. Additionally, our work has earned many different honors throughout our years in the home improvement industry, such as multiple Best of Houzz awards. Are you ready to get one step closer to enjoying your dream kitchen? If so, contact Star Home Remodeling today. To begin the process, we’ll meet with you at our showroom or in your Allen, TX, home, where we will discuss the vision you have for your project and speak with you further about the top-notch kitchen remodeling services we offer. We can’t wait to hear from you and get started on a custom design for your new kitchen.